Alibaba Group, whose Alibaba Cloud division is the dominant public cloud provider in China and one of the largest worldwide, tapped the Utah-based company to be its first U.S. master-agent partner. Scott Forbush, senior vice president of sales for Telarus, tells Channel Partners that the partnership gives his company an “edge in the cloud space” and a new alternative for its partners. Telarus partners will engage with the master agent’s field sales teams, who will introduce them to the Alibaba Cloud team. Forbrush says Telarus earned the nod because of its market presence and field presence. Telarus has multiple industry events this year, including Telarus Partner Xchange in June, where Alibaba Cloud will be a platinum sponsor. He says Alibaba also did an extensive vetting of its sales engineering team. “They met with a number of master agents and ultimately they chose Telarus because they liked our go-to-market strategy above all others,” Forbush said. He added that the relationship might not remain exclusive. “Certainly as they grow, they’ll expand their portfolio. But for the foreseeable future, they decided to go with Telarus, because they have the market presence and the field presence that they feel is going to help drive Alibaba Cloud’s product portfolio,” he said. Karen Lu, Alibaba Cloud’s regional general manager credited the master agent’s engineering, marketing and project management. Other services like GeoQuote and the recently announced MoonRize also were factors. Some of Alibaba Cloud’s offerings include elastic computing, storage, networking, express connects between U.S. and China, and security. 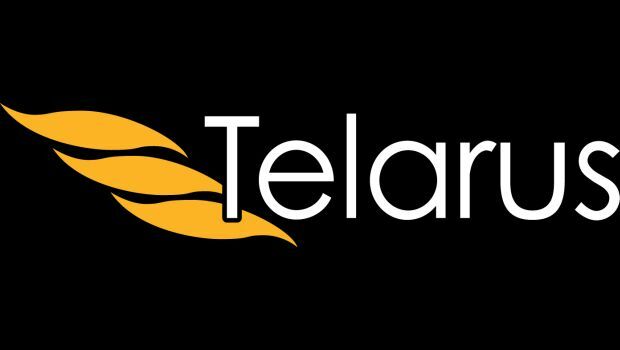 “We are thrilled to launch our channel program with Telarus and its 4,000-plus selling partners,” Lu said on Tuesday. Telarus CEO Adam Edwards said that many of his partners are moving into international sales, which makes Alibaba a good fit. “The Alibaba network allows customers to cut down latency and deploy globally on Alibaba Cloud’s international network of 16 data-center regions and manage all regions via a single global account,” Edwards said. Forbush says there’s a fair parallel to make between Alibaba Group’s activity’s in China with Amazon’s presence in the U.S.
“They basically have replicated what Amazon has done, but they’ve done it in China. So they do have a regional marketplace like Amazon does, but their big push is in the commercial space, just like Amazon has done with AWS,” he said. The big differentiator is that Alibaba is “the only logical choice” for customers doing business in China. Meantime, Alibaba is expanding into Europe. The company on Tuesday unveiled eight new products at Mobile World Congress in Barcelona. “Alibaba Cloud wants to be an enabler for technology innovation in Europe helping enterprises do business,” said Yeming Wang, general manager of Alibaba Cloud Europe. Telarus recently partnered with Adtran so its partners can sell the company’s unified communications and firewall services. The master agent is offering a new Triple Crown Award that helps to make a President’s Club achievement a little easier. She has been hired to help existing partners in the Southwest expand their UCaaS and SD-WAN practices, and recruit new partners. Cloudwirx also has an agreement in place with Alibaba Cloud.